The last-gen formats have reached the age where they’re being handed down to younger siblings, with the Xbox One and PS4 taking pride of place under the main TV instead. Both consoles have also fallen in price heavily over the past year or so, making them affordable (and more viable) for children. Unlike the Wii and Wii U, the Xbox 360 and PS3 never saw a steady slew of children’s games – just the odd movie or cartoon tie-in here and there, plus the usual LEGO, Skylanders and Disney Infinity games. The aim of this guide is to highlight some of the alternative kids’ games out there while sorting the good from the bad. Contrary to popular beliefs, kids can tell the difference. They may not be able to exactly point out why a game is bad, but they know the difference between boring and entertaining. With this guide you hopefully won’t be hearing “this game is boring” too often. Let’s get these out the way first, as chances are your child already owns a few of these. We’re talking about the games that are always prominently placed in supermarkets and GAME, such as LEGO, Skylanders, Disney Infinity, Just Dance, FIFA Soccer and Minecraft. Disney Infinity was axed earlier this year, meaning retailers are starting to clear out stock. The first DI features Disney and Pixar franchises and packed in a lot of content, with worlds based on Monsters Inc, The Incredibles and Pirates of the Caribbean. You do however need two characters from the same universe to play two-player in these worlds, which obviously goes against the whole ‘Infinity’ aspect. The second DI favours Marvel superheroes and has a quickly cobbled together feel to it, with just one campaign that soon becomes tedious. The Guardians of the Galaxy and Spider-Man add-on packs also scored poorly by the gaming press. For the third and final DI, Star Wars is the theme and this iteration focuses heavily on the premium priced add-ons. Despite featuring characters from all different Disney lines, the majority can only be used in the Minecraft-style Toy Box mode…which is due to go offline next year. It can still be accessed, but the ability to share creations with the community will cease. Children are likely to lean towards their favourite franchise, but for our money, the original DI is the one to go for. With three campaigns lasting around 3-4 hours each, it offers the most out-of-the-box value. As for Skylanders, we recommend the recent Skylanders Superchargers – which has online co-op play and Mario Kart-style races – and Skylanders Giants, which wasn’t too demanding when it came to extra figures. Although Skylanders Giants is also knocking on a bit now, it’s the prices for the giant figures have hit rock bottom. A full set can easily be obtained for around £20. While not bad games – the Skylanders games have a rare consistency to them – both Trap Team and Swap Force lock a lot of content away, with the former requiring £5 coloured crystals to capture bad guys in, and Swap Force adding new areas that only Swap Force characters can enter. These two are by far the most money grabbing. 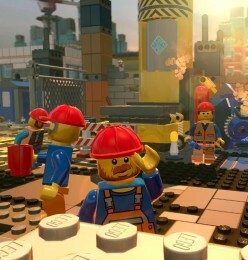 Then we have the LEGO games, which too are constantly good…and sometimes even great. LEGO Pirates of the Caribbean, Indiana Jones and The Lord of the Rings are generally seen as some of the weaker entries, while Harry Potter, Star Wars, Batman, Marvel Super Heroes and The Avengers are perceived as the best. LEGO Jurassic World and LEGO Star Wars: The Complete Saga are the ones commonly found in bargain bins nowadays, both of which are recommended. LEGO Dimensions stuff meanwhile is slowly starting to come down in price due to the arrival of season two. The starter set hasn’t quite hit the magical £30 mark yet, but it’s almost there. 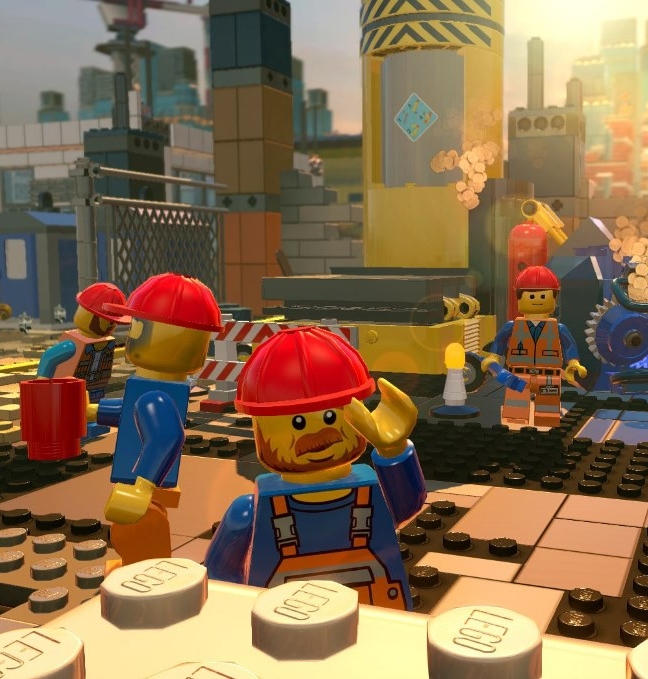 Out of all the ‘Toys to Life’ franchises, LEGO Dimensions is the most demanding on the wallet, and the upcoming second season looks set to be even more so with packs based on Sonic the Hedgehog, Gremlins, Adventure Time and dozens more. At least LEGO tends to hold its value, eh? This leaves us with Minecraft, which needs no introduction. Several years from launch, it’s still a big seller and just as popular. Thankfully for parents, it isn’t a full price release – expect to pay between £15-£20. If your child is into Minecraft in a big way, also be sure to check out Minecraft: Story Mode – which features a collection of episodic adventures to play through – and Terraria, which is often referred to as Minecraft’s 2D cousin. It’s slightly trickier to master, but chances are your child has friends who’ve already learnt the ropes and will be keen to show off what they know. Most cartoon and movie licensed games are terrible, with reason being that it’s usually the studio that offers to make them for the cheapest price who gets the gig. There are however a few exceptions. More than a few, to be fair. Back in 2008, many gamers were surprised to find that Activision’s Kung Fu Panda tie-in was actually pretty good. Microsoft even bundled it with the Xbox 360 for a while along with LEGO Indiana Jones in a double-pack. Long ago, Activision regularly released new Spyro and Crash Bandicoot games too. Crash Bandicoot: Mind Over Mutant and Crash of the Titans made it to Xbox 360 in 2007 and 2008 respectively, but by this point the ‘coot was way past his prime. The Legend of Spyro: Dawn of the Dragon was pretty good, though, even if it didn’t have much in common with the original games. Activision’s Spider-Man games – which they churned out on a yearly basis – tended to be hit and miss meanwhile. The same went for their Transformers games. Of all these, we recommend Transformers: War on Cybertron, Fall of Cybertron, the recent Transformers Devastation, Spider-Man: Web of Shadows and The Amazing Spider-Man. You may struggle to find Web of Shadows – it’s pretty hard to track down nowadays. The same goes for the 12+ rated multi-player Marvel Ultimate Alliance and its sequel; these were launched very early in the system’s life. SEGA had a stab with Marvel movie tie-ins too, with the best results being Captain America: Super Soldier and The Incredible Hulk. Their Thor and Iron Man games were, sadly, worthless. Capcom had the Marvel rights for a short spell as well, which lead to the creation of the 12+ rated Marvel vs Capcom 3 – a fighting game that’s very easy to pick up, and filled with flashy special moves. EA dabbled with licensed games before the company underwent restructuring. Harry Potter and the Order of the Phoenix was their best Harry Potter game by far. The Deathly Hallows Parts 1 and 2 played more like a third-person cover shooter, with wands acting like guns. We aren’t even kidding. EA’s often forgotten Rango tie-in fared better, and due to selling poorly upon release, it can found for around £10 on Amazon. This can’t be said for EA’s The Simpsons, which somehow managed to retain its value. Unlike the above publishers, Little Orbit was set-up solely to deal with licensed games. As of yet, though, none of their games has achieved critical success. Adventure Time is the biggest brand in their portfolio, with Adventure Time: Finn and Jake Investigations referred to as their best effort. 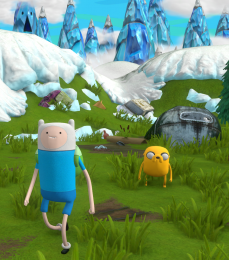 Rather than taking the form of a platform or action game, it’s a slow-paced adventure that features puzzles heavily. As such, younger gamers may seek the help of their peers here. The same goes for Secret of the Nameless Kingdom, which takes the form of a top-down 2D role-player, similar to the original Zelda. As for Kinect licensed games, you can’t go far wrong with Disneyland Adventures, Kinect Rush: A Disney Pixar Adventure and Kinect Star Wars. Kinect Star Wars isn’t great, to be fair, but it does entertain – the Dance Central-style dancing mini-game is hilarious. This seems a good place to give Toy Story 3 a shout-out. A slick and polished package, it was the forerunner to Disney Infinity, including an open-world sandbox mode similar to DI’s Toy Box. It achieved way more than the likes of Wall-E, Ratatouille and other half-baked Pixar tie-ins from THQ. In 2009, Atari released a Ghostbusters game that featured the original cast. It’s something of a fan favourite, and often referred to as being the best Ghostbuster game off all-time despite a few obvious faults. This one has a 12+ age rating though, mostly due to adult humour. With Ghostbusters currently finding a new, younger, audience we still felt it was worthy of a mention. Ubisoft also released a TinTin game back in 2011, based on The Secret Of The Unicorn. It had more thought put into it than most movie games, and should keep a young gamer entertained for a weekend or so. Children love Sonic, and it’s easy to see why. Sadly, the Sonic games wildly vary in quality. Sonic Generations is the one to go for, bringing together highlights from the hedgehog’s past with a new coat of paint. Then there’s the two Sonic racing games – the pretty good Sonic & SEGA Racing, and it’s far superior sequel Sonic & All-Stars Racing Transformed – and the often forgotten Sega Superstars Tennis, which sells for very little nowadays. If you fancy giving your child a history lesson in ‘old skool’ gaming, look no further then SEGA Mega Drive Ultimate Collection. It features over 40 retro games, including all five 16-bit Sonic games. Sticking with retro, Namco-Bandai found mild success with the Pac-Man and the Ghostly Adventures series. The original is an unoriginal but pleasant enough experience; the sequel a lazily thrown together mess. To be blunt. 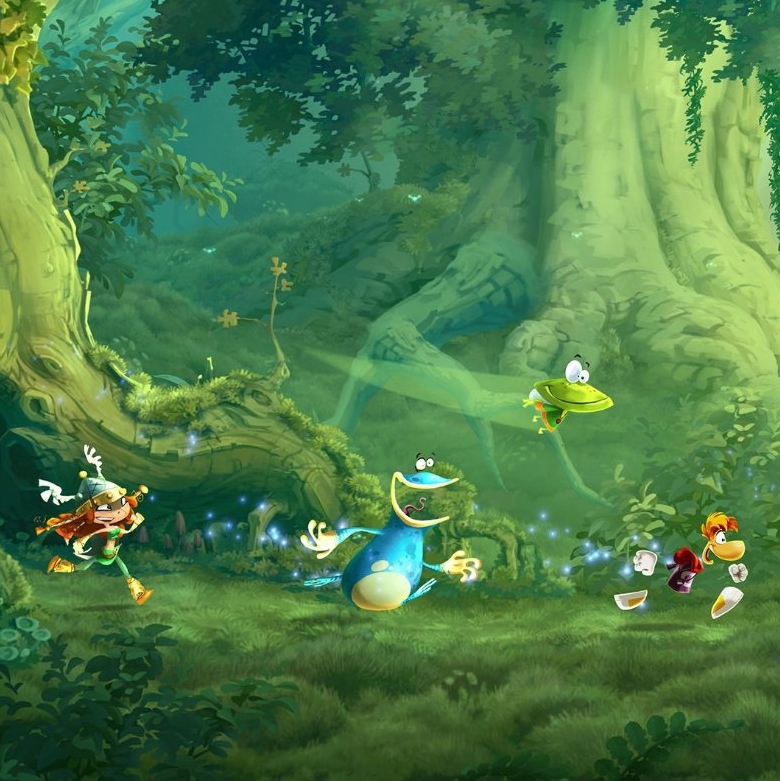 Other mascot driven games to consider include Rayman Legends and Rayman Origins, with Legends in particular very well-regarded, complete with a multi-player football mini-game. 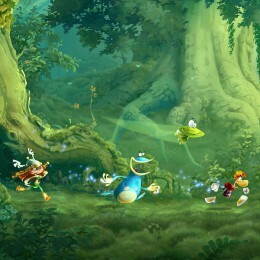 Early in the Xbox 360’s life, Microsoft relied on Rare for family games. This lead to the creation of Viva Pinata and its sequel – a glorious gardening game, in which the idea is to attract all kinds of animals by placing certain plants and features. It gets a glowing recommendation from us. See also: Frontiers’ similar Zoo Tycoon, which we’re rather fond of. Rare also attempted to revive Banjo-Kazooie with Banjo-Kazooie: Nuts and Bolts. Due to putting a focus on vehicle construction and racing, rather than good old adventuring and platforming, it found few fans. Seek out Banjo-Kazooie and Banjo-Tooie on Xbox Live Arcade instead. The PS3 had its own exclusives likewise, with easy-to-master game creation tool LittleBigPlanet being the best of the bunch. It went on to gain its own kart racing spin-off, in the form of LittleBigPlanet Karting. Its predecessor – ModNation Racers – was better received by the press, though. Most sports and racing games have low age ratings. This doesn’t mean that all are suitable for children, however – it’s merely the content that is suitable, rather than the game’s difficulty level. Younger gamers are bound to struggle with such 3+ rated racers as World Rally Championship and Ride. Stick with arcade like-racers such as Blur, Split/Second, Pure, Burnout and Need for Speed. That said, the Need for Speed games do vary in quality – Hot Pursuit, Most Wanted and Rivals are the best, with each having a 7+ age rating. Sports games are easily found in charity shops for very little. The same goes for the likes of Guitar Hero, Band Hero, Rock Band and DJ Hero – high street retailers cleared their stocks long ago and they’ve been collecting dust ever since. Guitar Hero games can be had for just a few pounds, with age ratings varying from PG to 12+. It’s worth pointing out that Band Hero was intended for the younger market, as was LEGO Rock Band, so look out for them. We don’t recommend buying Guitar Hero Metallica for your five-year-old.